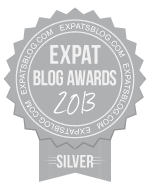 ExpatsBlog.com Expat Blog Awards 2013: France Silver Award! I empathise with your antics - the ups and downs, the struggles and the laughs. It's all part of the fun. We're in a similar situation, so it gives me hope that it'll all come right in the end.